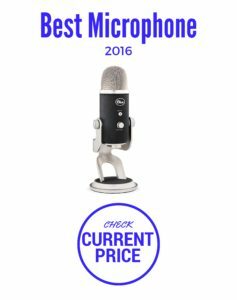 Our top pick for the best USB microphone for recording vocals is the Blue Yeti Pro. This new microphone aims to be the foundation of your studio or home computer providing a pristine and clear audio signal. The Yeti Pro comes with handy and flexible features that are responsible for great sound quality. Taking it’s place in our top microphone for singing list. It comes with Blue’s commitment to quality and it features a set of three custom small-diaphragm capsules and four varied pattern settings. Giving you the best of both worlds with both digital and analog output. Professional grade XLR, for connecting to your preferred analog microphone preamps. (So you can use phantom power or not!). Considering its choice of either USB and XLR analog output capacities along with mutable controls and switchable pickup patterns, it’s a small recording studio in and of itself! 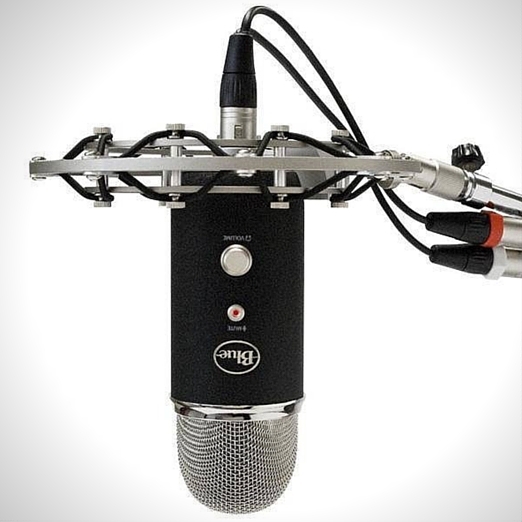 Why Should You Consider Purchasing a Blue Yeti Pro USB Condenser Microphone? We’re about to show you why this fantastic offering from Yeti is our top USB microphone for recording vocals. The onboard, cutting edge A-D converter is capable of offering 24 bit/192 kHz digital resolution, which is the highest resolution in comparison with all USB microphones in the market. (Mic can be set for all sampling rates in between). It is applicable to both PC and Macs regardless of the recording software in use just to give you a high quality voice solution. The new and improved capsuled, multi-pattern design is also first of its kind in the collection of USB microphones, giving you diverse recording patterns for produce studio-quality recordings at ease. The three mic capsules or condensers of 14mm each are organized in a bit offset as well as in a triangular way, allowing for various recording patterns. This includes the rare option, stereo, for a relatively big capsule design like this one. To use these versatile settings, it only requires you to twist the pattern selector knob. The distinct tri-capsule set’s condensers have different orientation – two creating an X-Y array facing backward at 90 degrees and one facing forward. Their output is internally matrixed to give out four recording, polar patterns namely, Omnidirectional, Cardioid, Bidirectional, and XY Stereo, the latter being required for capturing in stereo for live performances, recording ambiance, and for sound design. Cardioid is for basic recording in any situation such as voiceover work and recording vocals, while Omnidirectional is for recording the voice of all in a group and Bi-directional is for individual instruments.These tasks would otherwise require several microphones. Moreover, due to the different tunings of three custom capsules and four pattern settings, you get digital audio, which is four times clearer than the ones on CDs. You also have the benefit of a built-in headphone amplifier for monitoring with no latency. The ability to manage controls for setting the right volume level and pattern, and muting or un-muting the microphone right at your fingertips. In case of distortion or feedback while recording, just adjust the Pro’s sensitivity with the gain control. Without installing any drivers, you just need to plug this microphone into your computer, launch the preferred recording software, and start recording. The easy-breezy ability to just plug-and-play (if you choose). Tracking what your recording is dead simple, with a 3.5-mm headphone jack. You can monitor what is being recorded in real-time without any worry of latency. (This eliminates the waiting time of up to three seconds for hearing a note that you just sang). 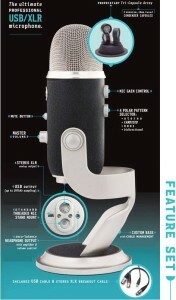 The headphone’s volume is adjustable via the control on the Yeti Pro’s front. 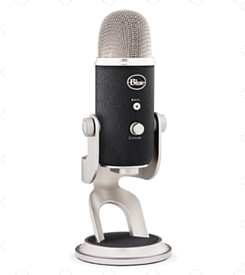 So Who Is the Blue Mic Yeti Pro Not For? If you’re looking for something portable, small or a wireless mic for singing, then this microphone is definitely not for you. Not saying that it can’t go with you from place to place when inspiration strikes. It’s just it would never be considered a ‘recording mic on the go’. If portablity is a big determining factor in your decision check out another of Blues offerings the Snowball USB Microphone or even the Shure SM58. Our Verdict – The Best USB Microphone for Recording Vocals. This mic is a beast there is no other way to say it. It’s ideal for voice-over artists, songwriters, and of course singers! Any type of professional or aspiring artist in search of a powerful sounding, feature loaded, USB or XLR microphone can’t go wrong with the Yeti Pro. It (just like it’s smaller USB Recording Microphone Siblings) is available in several different colors.